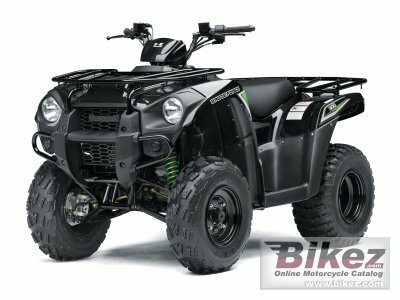 2016 Kawasaki Brute Force 300. Picture credits - Kawasaki. Submit more pictures. Making light work of hard tasks, the new entry-level Brute Force 300 has the features you�d expect from a much larger � and expensive � ATV. CVT transmission, disc brakes front and rear plus a ready for work water-cooled engine are all designed to deliver. Ask questions Join the 16 Kawasaki Brute Force 300 discussion group or the general Kawasaki discussion group. Bikez has reestablished Bikez.info motorcycle web shop overview. Here we present the major online shopping possibilities for motorcycle parts, gear and accessories. This includes customizing and insurance. Search and compare products and prices. Try our 2016 Kawasaki Brute Force 300 discussion forum if you have questions or comments. Information about any technical issue is always welcome.